Bitvavo - Is it safe to show my wallet address to a third party? All Categories ​>​ Security ​>​ Is it safe to show my wallet address to a third party? Is it safe to show my wallet address to a third party? A wallet address can, in a way, be compared to a bank account number. This means that if someone has your wallet address, this person can send digital currency to your address. But this person does not have access to your digital currency with just your wallet address. The only way to access the digital currency on your wallet address is with your ‘private key’. A private key can be compared to a code you receive (e.g. on your random reader or a TAN-code) when you want to confirm a payment from your bank account. Without the private key your account is useless, but this also means that you cannot lose it or give it to others. At Bitvavo we provide hosted wallets, which means that Bitvavo manages your private key. Bitvavo takes extensive security meausres to keep your private key as safe as possible. 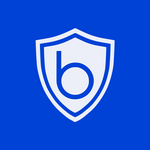 More information about which security measures Bitavo has in place is explained here. How can I remove a wallet address? Where can I find my wallet address? Is my hosted wallet well secured?